Alice Jackson is a Blogger and Digital Marketing Consultant at a crowdsourcing company, Designhill shares tips on how brands can use the Instagram Scheduling Feature to make the best out of the app. Instagram, the popular photo-sharing platform boasts off over 800 million strong user base that consists of varied demographics from teenagers to c-suite professionals.This visual content platform is not only about sharing stunning selfies or impressive holiday pictures, or real-time stories only rather has immense scope for business marketing. To upkeep with the growing popularity and influence, the platform has recently launched ‘scheduling feature’ for business profiles. Well, hold on your excitement as there are two factors you need to be aware of. Firstly, as I mentioned above this feature is exclusively available to business profiles only. In the past, many brands were hesitant in switching to Instagram’s business profile, so that they can save themselves for paying any kind of additional charges for business promotion as happened with Facebook Business Pages. Although, as per the updates, Instagram has announced that this feature will be eventually be given access to non-business profiles as well, but not before 2019. Secondly, the platform does not offer any direct method to integrate this feature directly into its own app. As per the new update,to schedule the posts on Instagram, you need to rely on the third-party software. This means to enjoy access to full functionality, you need to pay for subscription applications like Hootsuite,Sprout Social or any other service working as an Instagram or Facebook marketing partner. Now, companies can plan and schedule multiple posts ahead of time, manage large streams of content, view public posts that they have been tagged in or mentioned and more. On this new update, “Roger Graham, senior director of Growth and Marketing, APAC Hootsuite, stated, “ As more and more companies continue to use Instagram for their business promotion and marketing, the ability to schedule posts on the Instagram was the foremost request they were constantly receiving from over 16 million customers. He further added, “that they are thrilled to be preferred partner with Instagram to make new update happen”. 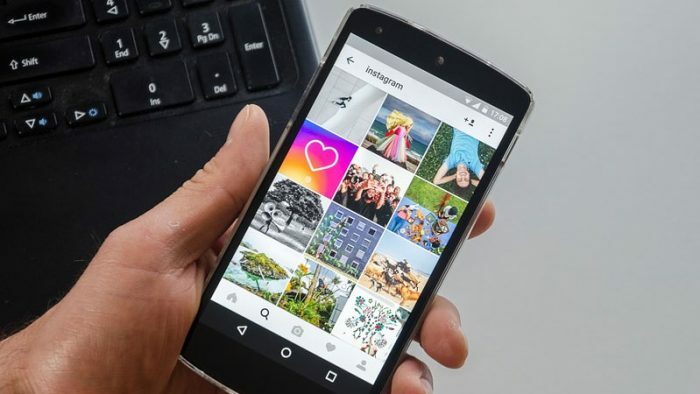 with over 80% of users allowing a business they like, making use of the business Instagram account is crucial to connect with your existing and potential customers. Before the launch of Instagram Business, companies had the option to include a link of the website on their profile. Some companies who want to create a pre buzz sometimes create a logo using online free logo maker tools and use it as a display picture to make audience recall them by their logo. This was the only way that audience could reach their website or connect with them. But now by switching to business Instagram account, brands have the option to add their business contact details and these are clickable. Thus, it gives users an option to get in touch with you over the phone, email, or via GPS location on the map. There are many businesses on Instagram that are doing the Instagram marketing the right way. For Instance, AirBnb, is taking full advantage of Instagram marketing by sharing high-quality images, and unique content. That’s why the brand has been able to garner a massive following and great no. of click-throughs. They keep the users engaged by sharing with them most comfy and budget-friendly lodging sites across the world. Besides, if you like any specific Airbnb photo, the company also provides their followers a link to all the locations. This further keeps users glued as they get an opportunity to experience exactly what they have seen in the Instagram photo. With impeccable logo design, beautiful pictures, backgrounds, and a fresh stream of content, the brand has certainly taken Instagram marketing to another level. The another benefit of switching to a business account is, you get an access to Instagram’s business analytics tool. Further, this tool can give you a clear insight into how your Instagram content is performing. You can get detailed metrics such as number of impressions, performance & reach of your content, segregation of follower data based on many factors like gender, location, most active hours in a day or best days for posting, etc. With the business Instagram account, ad creation has become simpler and it offers robust targeting options that ensure your message gets delivered to your audience effectively. To promote a particular post, all you need to do is, just select the promote button. Going forward, this feature gives you the option to select your specific audience, set your budget and duration that defines for how long you want to run your ad. To reap the above-mentioned benefits of this image-centric platform, you need to get your hands on the Instagram business profile. Certainly, Instagram is one of the hottest social media plattform owing to its fast growth trajectory. With this new feature update, businesses can take their brand forward and dramatically increase brand exposure. This leaves me with a question, what is your opinion? 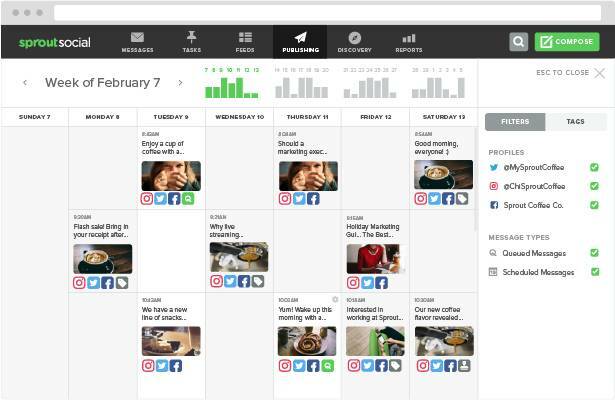 Is the new scheduling feature worth having a business account? Alice Jackson is a Blogger and Digital Marketing Consultant at a crowdsourcing company, Designhill. She is a social media enthusiast, online market analyst, amateur designer and an avid author. She has written on several topics including social media marketing, content marketing, designing trends, startup strategies, and e-commerce. When not writing, she loves spending her time reading romantic novels.